The Supreme Court bench of the Chief Justice of India, J.S.Khehar and justices D.Y.Chandrachud and L.Nageswara Rao, today reserved its order, after hearing the counsel seeking a review of last year’s judgment, imposing a ban on grant of licences for the sale of liquor, along national and state highways. The hearing, which lasted for nearly two hours in the afternoon, saw every counsel explain the problems in implementing the Court’s directions. The Attorney-General, Mukul Rohatgi, referred to the direction No.2 , which said that the prohibition would extend to and include stretches of such highways which fall within the limits of a municipal corporation, city, town or local authority. Rohatgi said, because of this direction, the budget of every State has gone for a six. Justice Nageswara Rao asked the counsel, to tell the bench whether whatever the Court had said in the last year’s judgment is not already there in the law. Senior counsel, Rajeev Dhavan, told the bench that the overarching principle could never be applied without recourse to time and space. He said that the Court’s judgment amounted to legislating. The reference was obviously to the principle laid down by the Court that the prohibition on the grant of liquor licences to liquor shops on the national and state highways would ensure that the consumption of alcoholic liquor does not pose dangers to the lives and safety of the users. Another senior counsel, Jayant Bhushan pointed out that the direction for the removal of liquor shops to a distance of 500 meters from either side of highways would not make sense, if the highway is across a river, and the liquor shop, even if situated within the distance of 500 meters from either side of highway, may not be accessible at all. The bench wondered how the States could complain about interference with their excise policy, when the Court had only asked them to shift the liquor shops, and it was only a matter of distance of the outlets from the highways. 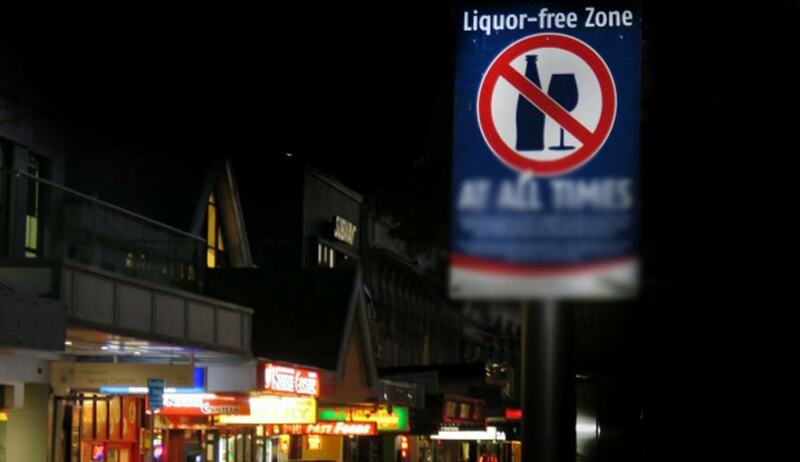 The bench drew attention to the fact that even the excise policy said that liquor shops could be located at a certain distance from the highways. Senior counsel, K.K.Venugopal wondered how the court could be concerned if a user of highways, wanted to buy liquor from the vicinity of the highway, but chose to drink it in the comforts of his home. While other senior counsel, namely, C.A.Sundaram, Kapil Sibal, Raju Ramachandran and others also made submissions to the bench, about the problems in implementing the court’s ban on liquor shops, and its constitutionality, there were no practical solutions offered to the bench, on how to dilute the last year’s judgment, without compromising the safety of highway users.